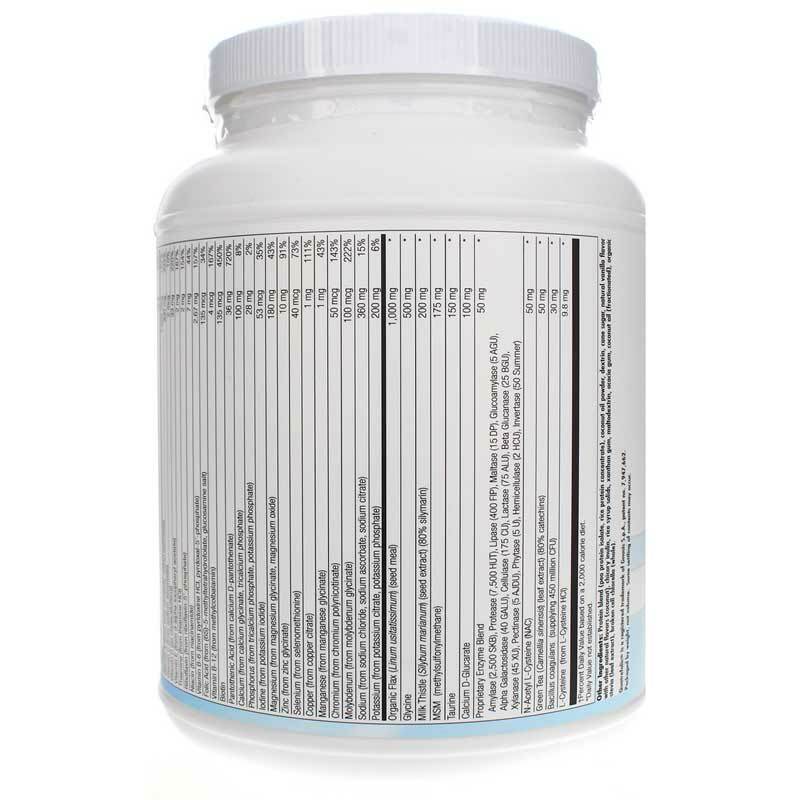 BioCleanse Plus from NutraBioGenesis provides nutritional support for liver clearing and gastrointestinal health. It is specifically designed for individuals who may have specific challenges related to liver pathway clearing or require additional support for digestive health. 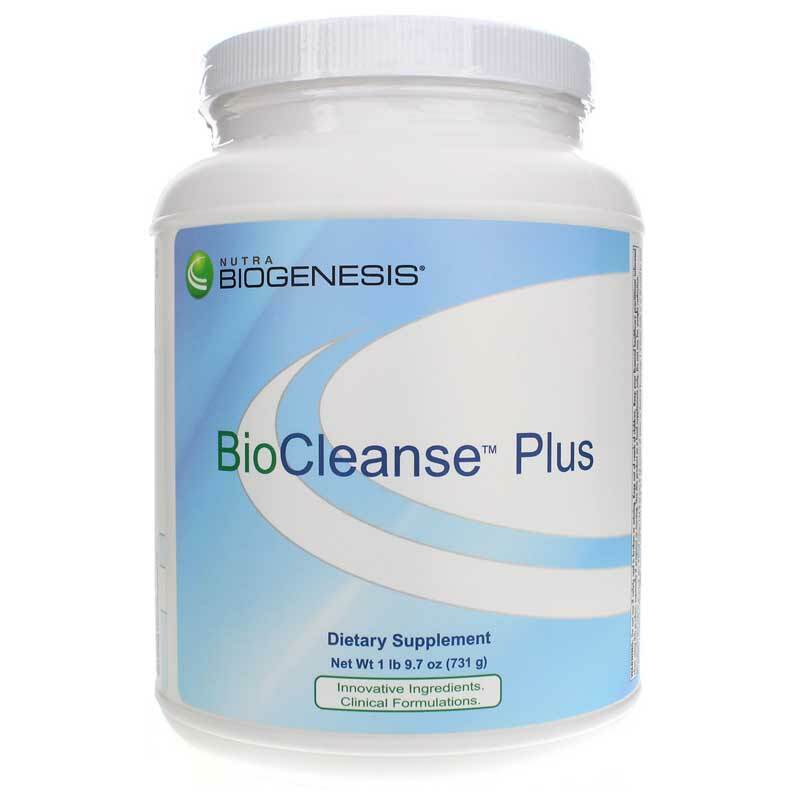 BioCleanse is designed to help the body to remove toxins via support of the phase 1 and phase 2 processes in the liver. 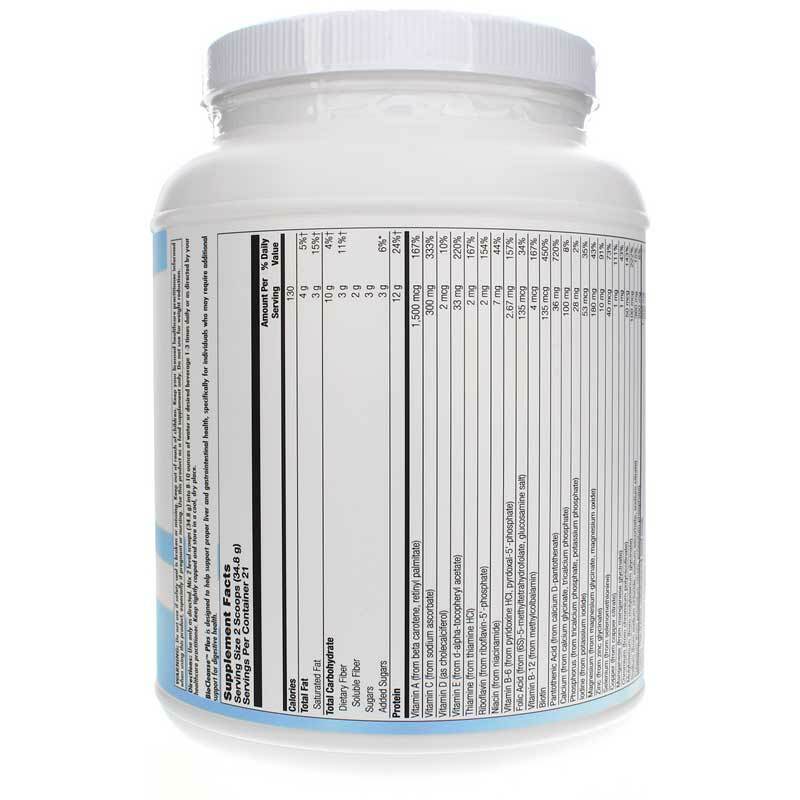 Other Ingredients: Protein blend (pea protein isolate, rice protein concentrate, chlorella), coconut oil powder, maltodextrin, sunflower oil powder, cane sugar, natural vanilla flavor with other natural flavors (coconut), chicory inulin, rice syrup solids, xanthan gum, acacia gum, coconut oil (fractionated), stevia leaf extract. Adults: Use only as directed. Mix 2 level scoops into 4 to 8 oz. of water or desired beverage, 1 to 3 times daily or as directed by your healthcare professional. If you are pregnant or nursing, please consult your healthcare professional before using this product. Keep out of the reach of children. Keep your licensed healthcare practitioner informed when using this product. Do not use for weight reduction. Not for use by persons under age of 18. Accidental overdose of iron containing products is a leading cause of fatal poisoning in children under 6. In case of accidental overdose, call a doctor or poison control center immediately.